Nice room of 15m2, calm and luminous. At disposal a small office in the watchtower. Located on the terrace by the pool, the Ronde Tower offers a superb view of the Massif Central. The bathroom has beautiful volumes and is equipped with a walk-in shower. Spacious room of 22m2, calm and luminous. 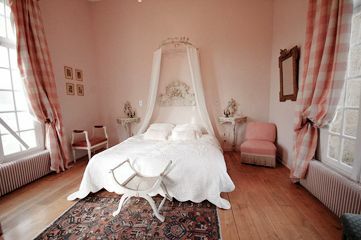 Turning towards the meadows where the horses graze, the room offers a soothing atmosphere. The bathroom offers large volumes and has a contemporary layout. It is lit by daylight with two large windows overlooking the garden. In addition to the classic equipment, it has both a shower and a bathtub. 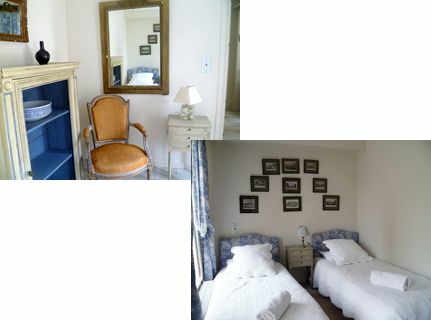 Located in the octagonal tower of 30m2, the suite consists of 2 double rooms, and a single room. 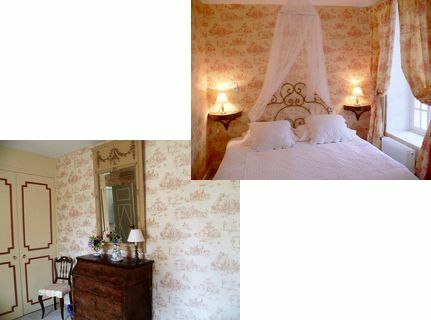 Toile de Jouy, patina, flowers, timeless colors, fine and elegant embroidery decorate the bed linen, so many details that allow to create a warm world with the charm of yesteryear. the bathroom has a shower and sink, the toilet is separate. 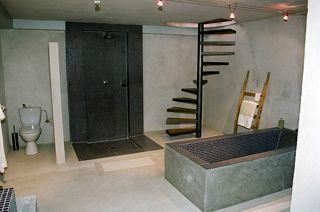 Bathroom: shower and washbasin. Independent toilets. 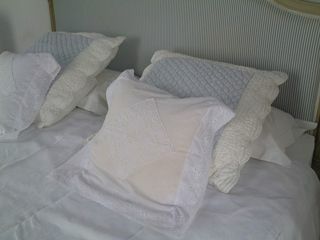 Possibility to add an extra bed or a cot. Access to the lounge from the outside.